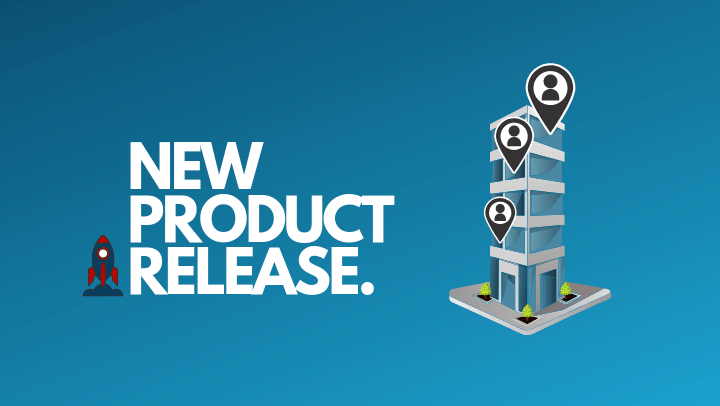 Our latest product release is dedicated to making it even quicker for admins to book visits in advance and enhancing the sign-in process for organisations with multiple locations or with a number of facilities and areas. Perhaps you’re addressing the sign-in process for a corporate campus with training buildings, manufacturing areas and department hubs. Or maybe you’re looking into visitor management for a Multi-Academy Trust, Nursery Group or Independent School. These new features could be perfect for you! Key takeaway – User Types can be shared across multiple locations so that users can sign-in at your different locations using their existing profiles. With our new Connect feature User Types can be shared across your accounts, such as your staff or volunteers. This means that users can sign in at the shared location using their existing information stored initially in the other account. This User Type will have it’s own address book in the dashboard that you connect it with. You want Staff from Office Location 1 to be able to sign in at any other office using their existing staff profile on the kiosk or their staff RFID card. You therefore share the staff User Type from Office Location 1 source account with your other accounts. If you make any changes to users of a shared User Type these changes will be reflected across the sites in every dashboard as the information syncs in real-time. For example if you ‘expire’ a user when a staff member leaves the organisation, this user will be expired at every site. Or if you issue a new RFID pin, this new pin can be used at any site to pair the RFID card (staff ID card) for ongoing use at any site. You can read more about how to use this feature in our Knowledge Base tutorial. Key takeaway – Track the location of individuals within your premises for safety. Using our new check-in/out functionality, organisations can smartly monitor the movement of individuals within their premises. Check-in/out does not affect the sign-in status of an individual and therefore the emergency list. It provides even more accurate information on user’s whereabouts on real-time by keeping their last active location up-to-date on the dashboard. For example, you may want to track which floor or area staff are located in. During emergency roll-calls this can be especially useful as you can be more specific about an individual’s most recent movements as you try to locate them. Learn how to create check-in/out points in our Areas and Destinations tutorial. Key takeaway – Admin staff can now create pre-registration URLs to allow visitors to input their own information prior to their visit. We’ve extended the pre-registration URL feature to allow admin users to send a link to visitors where they can input all of their personal details before their visit. This makes it even easier for admin staff to book visits in advance as they don’t need to gather and input visitor details. Admin staff can learn how to use pre-registration URLS here. We’re really happy with these updates, and we know you’ll love them too. If you have any questions or feedback, you can get in touch on +44 (0)191 341 0016. We’re always happy to hear from you.